Ooh shem! 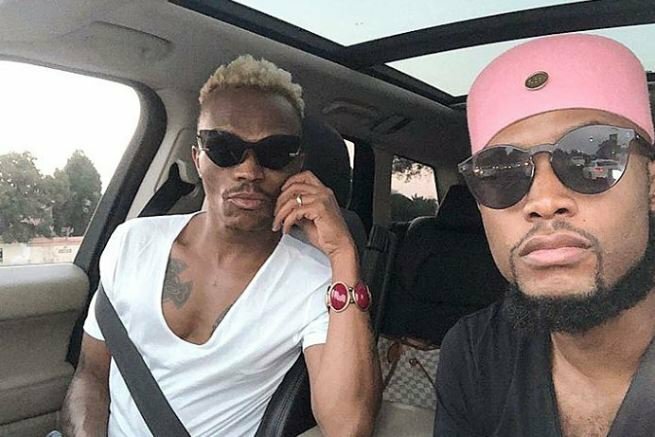 Somizi and Mohale are still going strong despite allegedly unfollowing each other on social media. Fans of Somizi Mhlongo and his fiancé Mohale Motaung went into panic mode last week when they realised the couple had unfollowed each other on Instagram. Was this a sign that the lovers had called it quits? Before Somizi's 2.2-million followers could get the answer to the question, the 'Idols SA' judge and his much younger partner appeared to have kissed and made up. According to ZAlebs, Mohale was the first to follow Somizi. With their alleged lovers quarrel behind them, Somizi followed Mohale back. And if that was not enough confirmation that all was well in the "SomHale" household, Somizi shared a sweet video in honour of their love for each other. "This song right here defines everything I feel about us," he captioned the clip. The track he selected, 'Thando Lwethu' by Bucie and Kwesta, features lyrics like, “They said we will never make it...But we went the distance you and I." ALSO READ: Is Somizi planning a wedding 'extravaganza'? Somizi popped the question during a romantic trip to Paris in March last year. Somgaga shared a sweet post on Thursday about the day they met at a book signing. "#tbt so on this day u @mohale_77 came to my book signing. U were number 13 on the line and by the time I signed yo book I knew I’d wanna be with u for a lifetime. Weird I know. But I knew. Then a week later I posted this and my response said it all. By this time we hadn’t and never met. Look at us now," SomGaga wrote.